Any Video Converter Ultimate can help you to watch DVD movies and listen to music from CDs anywhere by converting DVD&CD to popular formats like MP4, M4V, AVI, WMV, MOV, WMA, MP3, etc. Online videos are now available in a range of quality levels. 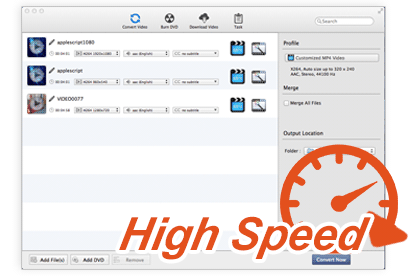 Any Video Converter Ultimate allows you to specify the quality level or video format of the video you want to download.